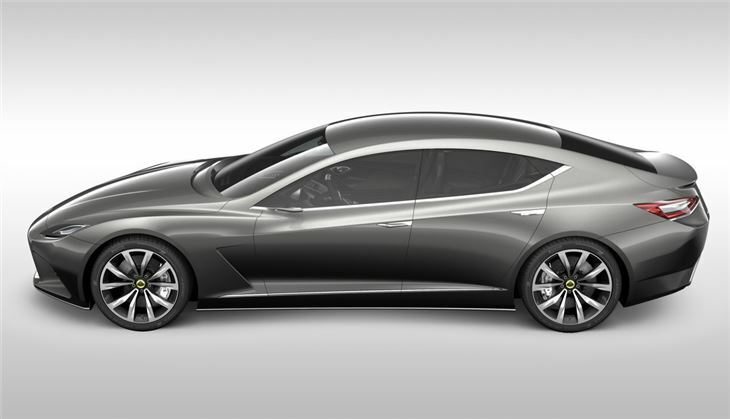 Four-door, four-seater from Lotus that promises exceptional performance, great looks, available with hybrid technology and all-wheel drive. 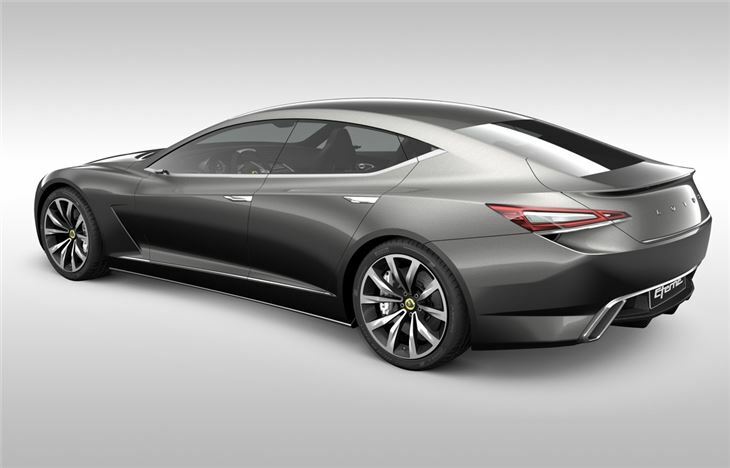 The Lotus Eterne is perhaps the most intriguing model in the new Lotus line-up. 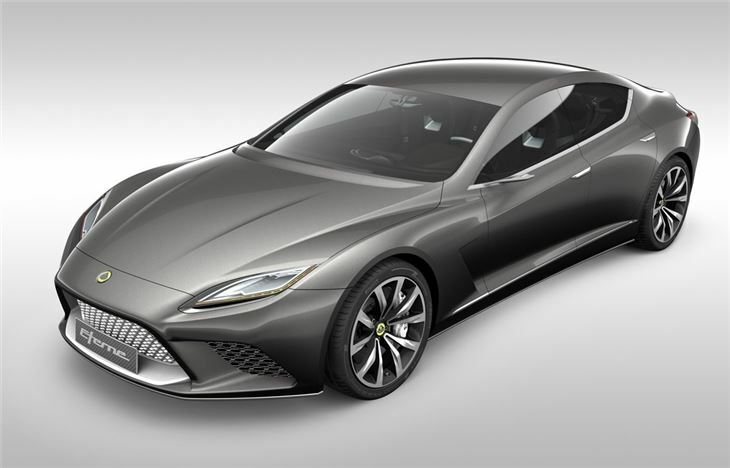 It's four-door, four-seater sports saloon in a similar ilk to the Porsche Panamera and a model that Lotus says will have 'refined style, sophistication and grace'. 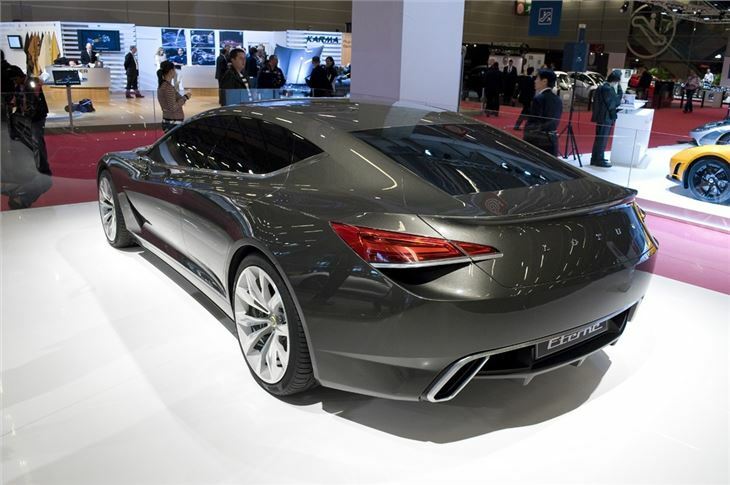 With an estimated price of around £120,000 it has an upmarket price tag - the Panamera range starts at around £62,000 and goes up to £97,500 - but it will have to have genuine quality to be a real rival. Lotus interiors have hardly been renowned for their comfort or sophistication in the past. But on paper it definitely has the power. Under the bonnet there's a 5.0 litre pressure charged V8 engine delivering up to 620bhp with Lotus aiming for best in class performance and efficiency. 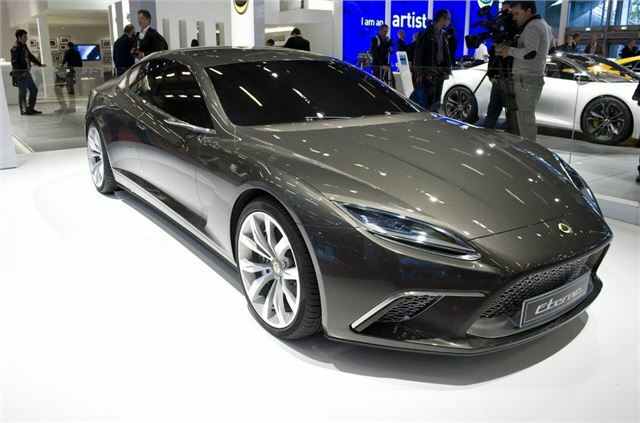 It will go from 0-62mph in 4.0 seconds and while the standard car is rear-wheel drive, an all-wheel drive version will also be offered. 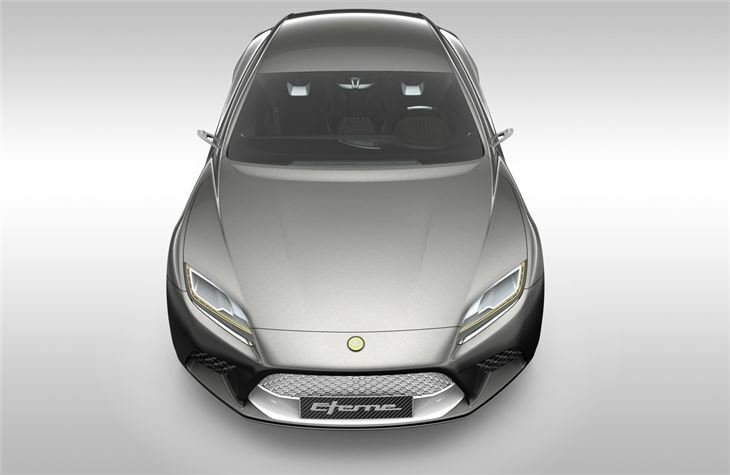 As with all the new Lotus models, the Eterne features optional hybrid technology with KERS, which helps keep emissions at 220g/km of CO2. Lotus certainly seems confident about the future of the Eterne. 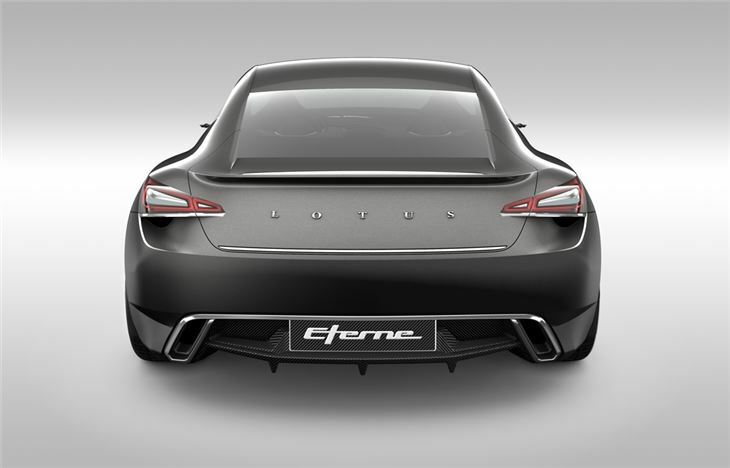 "We truly believe that there is a market for the Eterne, there is nothing else like it out there both in terms of design, capacity and performance," said Dany Bahar, the new Chief Executive Officer of Group Lotus. "The biggest difference between the Eterne and it's class competitors is that it's not an evolution of an existing two-door model, it's a deliberate and considered stand-alone creation. It's the ultimate four door sports car,"